A digital download of the self assessment checklists for Ballet, Level 1, by Move Through Life Dance Studio, designed especially for adult dancers. 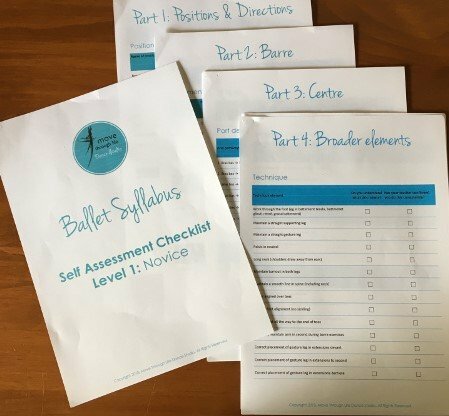 An outline of what you need to know and be able to do to progress into our Level 2 Ballet class. It will also give you a good grounding to go into any ongoing beginner ballet class and hold your own.